If you wish to delete your account, please follow the steps below. Login to Cafetalk. 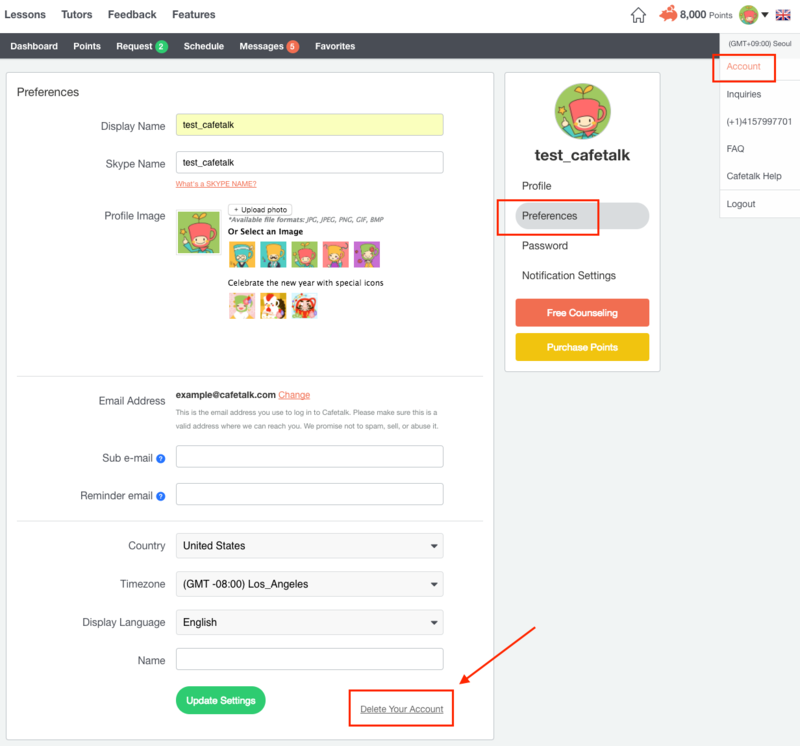 Click on "Account" from your dashboard menu. This will take you to the account preferences page. Scroll down and click on "Delete Your Account." 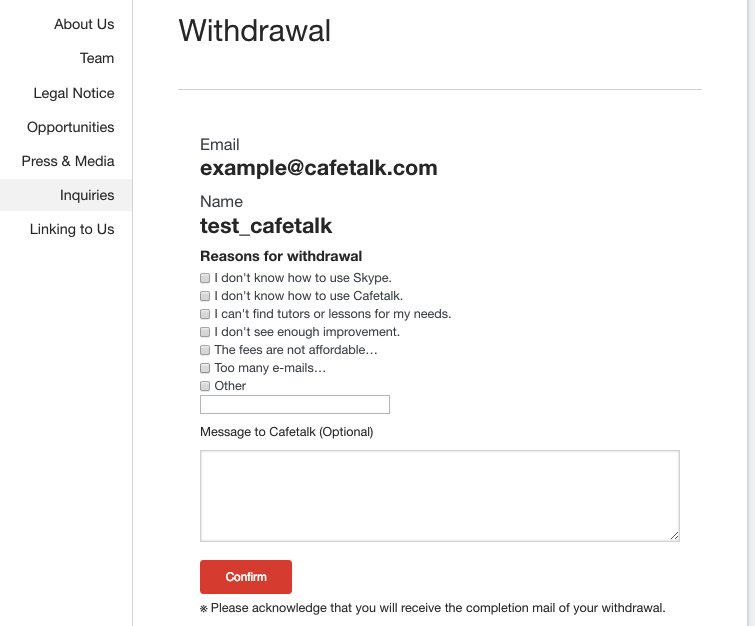 Select your reasons for withdrawal, input your message to Cafetalk (if any), and click Submit. After that, we will send you a confirmation email and the process will be complete. Please note that accounts cannot be reinstated once deleted.